Item # 317617 Stash Points: 6,495 (?) This is the number of points you get in The Zumiez Stash for purchasing this item. Stash points are redeemable for exclusive rewards only available to Zumiez Stash members. To redeem your points check out the rewards catalog on thestash.zumiez.com. 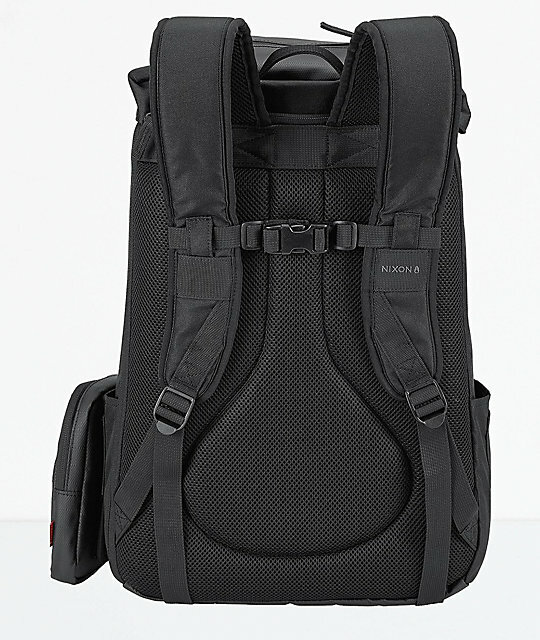 Great for work and your next adventure, Nixon's Landlock black backpack has it all. 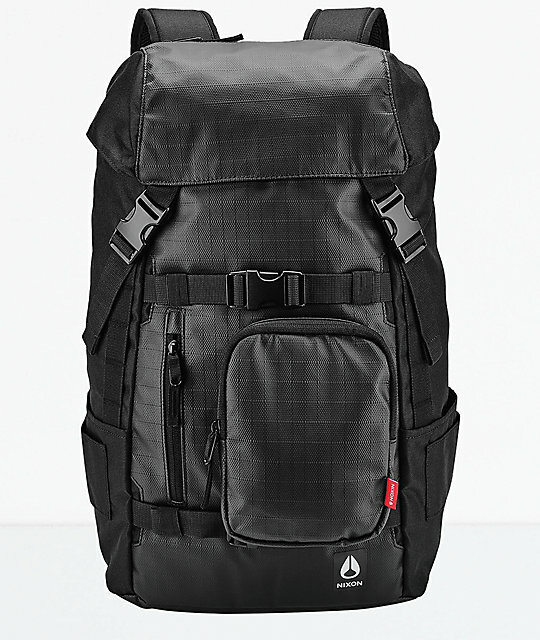 This 30L all-terrain pack is fully equipped with a side entry laptop pocket, large main compartment with lined watch pocket, a vertical front panel pocket, hide away skate straps, and water bottle slips on the sides. In case all those pockets are needed, the front pocket is removable, creating a sleek silhouette. 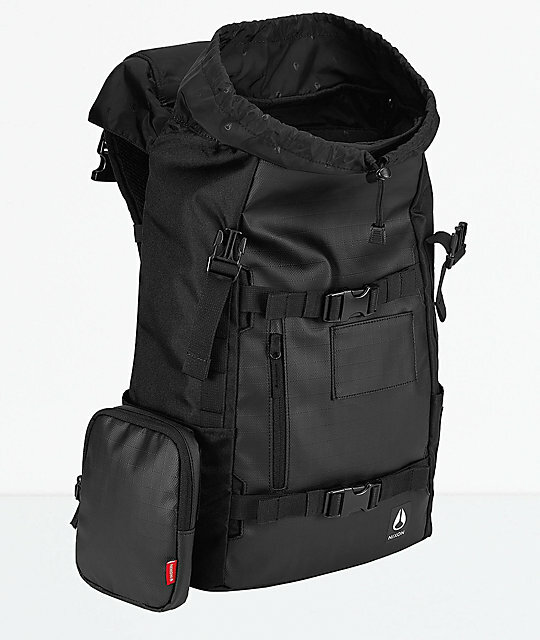 Landlock Black 30L Backpack from Nixon. Large main compartment w/ organizers. Top & side zipper main compartment access. Padded back panel & shoulder straps. 13" x 8" x 19.5" | 33 x 20 x 50cm. Lining: Icon embossed 210 D Nylon.